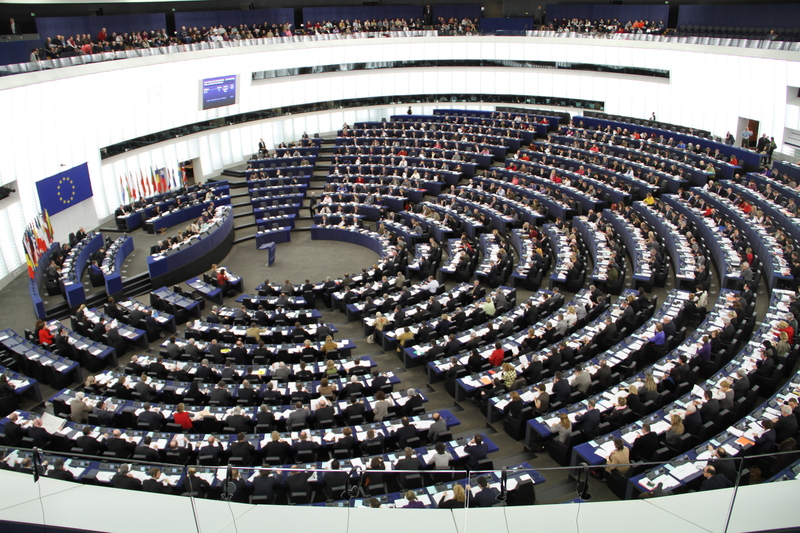 The European Parliament's ethics committee is probing a group of lawmakers who are suspected of accepting favours from Azerbaijan during an electoral observation mission there in October last year. Two separate groups of MEPs flew to Azerbaijan last October to monitor the elections. However, some of them "forgot" to tell Parliament that they had been invited by the Azeri government and did not declare the trip on their website, as required by the Assembly's new code of conduct. The Parliament advisory committee on the conduct of members, which oversees ethics in the EU Assembly, will look into the cases of the MEPs today (11 February) and is expected to adopt sanctions against them. The committee is also questioning whether some MEPs were remunerated for this task, on top of the paid trip. After their mission, the group produced a report describing the elections as “free and fair”. Embarrassingly, their assessment was radically different from the mission from the Organization for Security and Co-operation in Europe (OSCE), which found “serious problems” related to freedom of expression and assembly. According to European Parliament's new code of conduct, adopted last July, any kind of present, invitation to a football game, show or trip must be mentioned on the lawmaker's website if its price exceeds €150. The president of the parliament, Martin Schulz, sent the MEPs letters warning them about the new rules while the committee offered training sessions for political groups, that only the Greens took. For the first time, penalties provided for under Article 153 of the Code of Procedure should be taken into consideration. They are gradual: the lightest is a rebuke from the president, then comes a suspension of the daily allowance (for 2 to 10 days), and finally a suspension of Parliamentary activities. "Especially during election period, the most serious penalty is to advertise any sanction," said a Parliament official, who was speaking on condition of anonymity. The creation of an advisory committee and the adoption of a code of conduct for MEPs followed the “cash-for-amendments” scandal in 2011. Parliament officials are also separately looking into another case – that of French MEP Rachida Dati, a former Minister under Nicolas Sarkozy, who is accused of conflict of interest by two NGOs. In a letter sent last November, the NGO Friends of the Earth questioned Dati's dealings with the French gas company GDF-Suez. It said a working relationship between the two, mentioned in several media reports, raised a potential conflict of interest with regards to Dati's membership of the Parliament's Economic Affairs and Monetary Affairs committee (ECON) and the Industry, Research and Energy committee (ITRE). Now, members of the Parliament Advisory Committee have received another letter, signed by Olivier Hoedeman of the Corporate Europe Observatory and Magda Stoczkiewicz of Friends of the Earth Europe, asking the European Parliament to elucidate the case. The case could be an embarrassment for Dati, who co-leads an EU election list for the French centre-right UMP party at the next European elections. The Parliament’s president’s office confirmed it had received the letter. The legal services are studying the issue, while pointing out that “it may take several days” to reach an initial decision. The advisory committee can only put a topic on the agenda if the president requests it. GDF-Suez declined to comment: “we don’t deny it nor do we confirm it,” a spokesperson told EURACTIV. According to a French newspaper she has allegedly worked on several occasions for the gas company. Contacted by EURACTIV France, the MEP did not respond. The code of conduct of the European parliament is particularly demanding on the subject. NGOs cite article 3.3 of the code which asks MEPs to clarify any possible conflict of interest before speaking or voting in parliament or when an MEP is designated as rapporteur. Over the past two years, Rachida Dati has worked on amendments in the energy field and has put many written and oral questions, including subjects such as the harmonisation of energy policies, climate, renewable energies in the Mediterranean, foreign energy operators in Hungary, the protection of citizens from high energy prices, the role of gas in Europe and the internal gas market. “A conflict of interest exists where a Member of the European Parliament has a personal interest that could improperly influence the performance of his or her duties as a Member. A conflict of interest does not exist where a Member benefits only as a member of the general public or of a broad class of persons. Any Member who finds that he or she has a conflict of interest shall immediately take the necessary steps to address it, in accordance with the principles and provisions of this Code of Conduct. If the Member is unable to resolve the conflict of interest, he or she shall report this to the President in writing. In cases of ambiguity, the Member may seek advice in confidence from the Advisory Committee on the Conduct of Members, established under Article 7. As a former OSCE election observer at last years election in Azerbaijan, I am both pleased and hugely impressed by the action taken towards the named MEPs. But please do more to inform the public. You say that “A previous version of this article was unpublished because it contained a wrong list of MEPs. We apologise for the inconvenience caused.” What is the correct list?